This April the iconic designs by Mary Quant will be celebrated in a new exhibition at the V&A Museum, London. The exhibition will span the period 1955 to 1975 and will include over 200 garments and accessories. Many of these items were lost from public collections, but have been successfully tracked down thanks to the Museum’s innovative use of social media, which put out a public call under the Twitter handle #WeWantQuant. The exhibition aims to tell the personal stories of the people behind these items as well as Quant herself and the impact she had on the world of fashion and design. Mary Quant was born in Bexleyheath, London in 1934. She studied fashion illustration at Goldsmiths College, London, where she met her future husband, Alexander Plunket Greene. She opened her first boutique, Bazaar, in a joint venture with Plunket Greene and their friend, lawyer-turned-photographer Archie McNair in 1955 on the King’s Road in Chelsea. Initially Quant bought garments to sell in the shop, but she noticed a gap in the market and started designing clothes; making up garments during the night to sell in the store the next morning. Quant’s designs tapped into the period’s zeitgeist and proved to be instantly popular. By 1963 she had opened up a second store on the Kings Road and founded the Ginger Group to manufacture her garments on a wholesale scale to a global market. A shrewd businesswoman, Quant extended her reach further by developing affordable ranges with commercial partners Buttericks, Courtelle and J.C. Penney. Throughout her career, Mary Quant has displayed great commercial and artistic aptitude, developing garments for people like herself, who wanted to wear playful, bold and liberating items. It is the dynamic and playful qualities in Quant’s designs, which would later make them so transferable to a children’s market. In 1973, Quant partnered with Model Toys Ltd. A company run by her friend Sir Torquil Norman. They launched Quant’s own fashion doll, a teenaged girl named after her company’s iconic flower logo, ‘Daisy’. Model Toys Ltd. produced both paper doll sets as well as plastic, nine-inch tall, three-dimensional dolls. Quant’s dolls were marketed as ‘the best dressed doll in the world’ and were furnished with a lavish wardrobe that would have made even Barbie’s head swivel. The starting price for each plastic doll was £1.30 (today’s equivalent would be £13.40) and discerning Daisy doll owners could bolster their doll’s wardrobes with mini, super and bumper fashion packs of outfits and accessories, which started at 30 pence which can be seen here. A year after Daisy was launched Model Toys Ltd. introduced ‘Havoc, Super Agent'. Havoc was a jumpsuit wearing, motorbike riding, gun-toting young woman who was a news reporter and a secret crime fighter. The redheaded Havoc not only had the ‘skills and daring to surmount every hazard, outwit every foe’ but she was also equipped by Quant with ‘all the gear she needs for her fantastic adventures’. Quant’s dolls were fashionable, but unlike other fashion dolls, hers were designed to be dynamic. Daisy and Havoc, like Action Man and GI Joe, had articulated limbs and swivel waists so that they could be animated and positioned into a variety of poses. 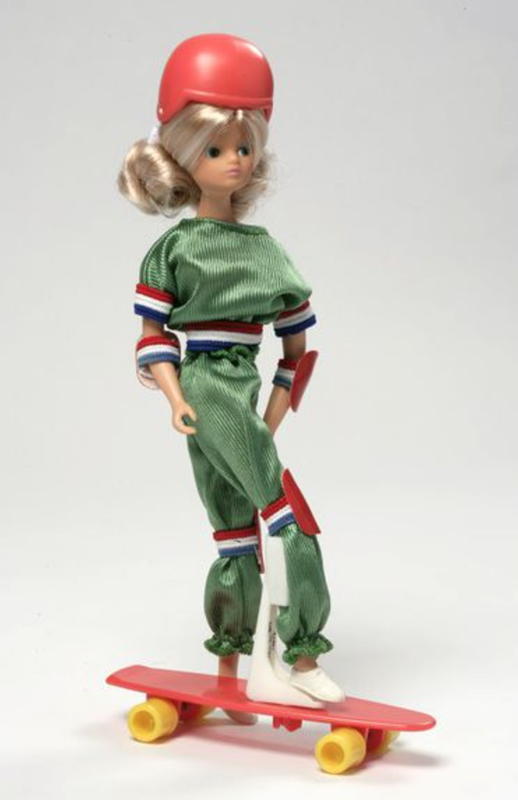 Unlike other fashion dolls such as Barbie, which have been criticised for their unrealistic proportions, Quant’s dolls resembled human proportions and were made with flat feet so the dolls could balance. Quant’s dolls were produced for a decade by Model Toys Ltd. with their manufacturing ending in 1983. Dolls were not Quant’s only foray into the children’s market. In 1978, Quant expanded her range for Viyella beyond women’s fashion to included children’s wear. These designs show the influence of historical dress and feature Edwardian and Victorian inspired high collars, flounces, smocks, breeches and waistcoats. There’s considerable crossover between Quant’s adult’s wear with traditional children’s clothing, such as romper suits, knickerbockers, Peter Pan collars, pinafore dresses, Mary Jane shoes and school uniforms featuring in her adult clothing ranges. 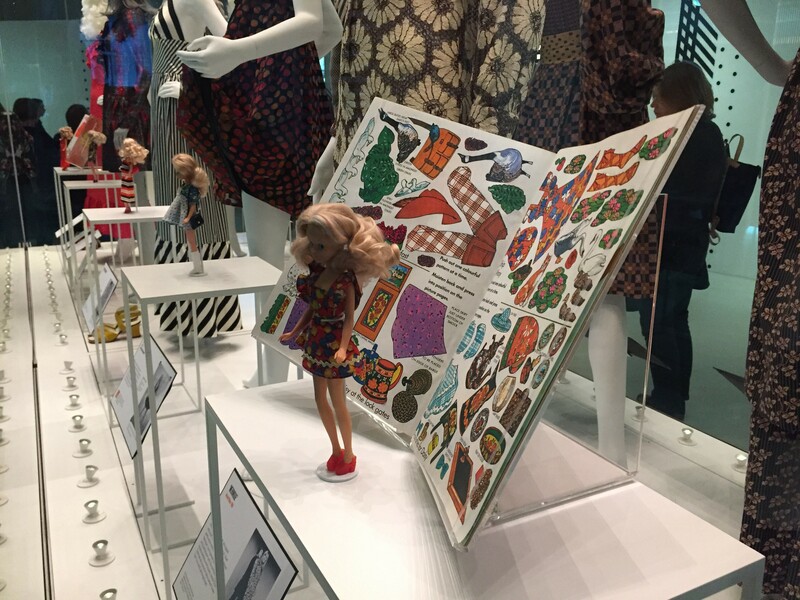 In 1979 Mary Quant donated several items from her children’s wear collection to the V&A Museum of Childhood. The clothing items in this gift were among the first pieces of contemporary children’s clothing acquired after the V&A’s Bethnal Green Museum became the V&A Museum of Childhood in 1974. 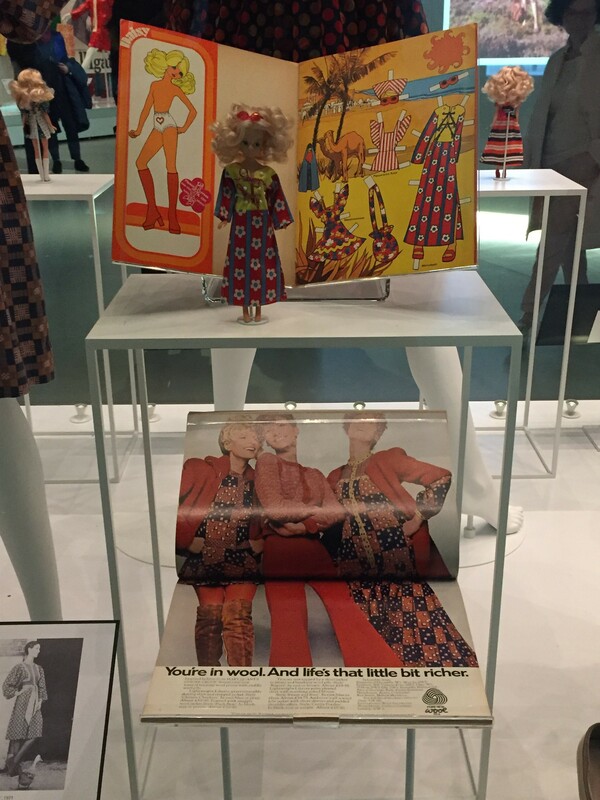 These items are not currently on display but those wishing to view them or the Mary Quant fashion dolls can make appointments through the Museum’s Collection department. Quant’s name is now synonymous with the miniskirt, but she was responsible for developing much more. Along with her innovative use of modern materials like PVC, vibrant makeup, bold graphic designs, she created dynamic designs and role models for children through her dolls and children’s wear ranges. The Mary Quant exhibition runs from 6 April 2019 to 16 February 2020 at the V&A Museum, South Kensington, London.